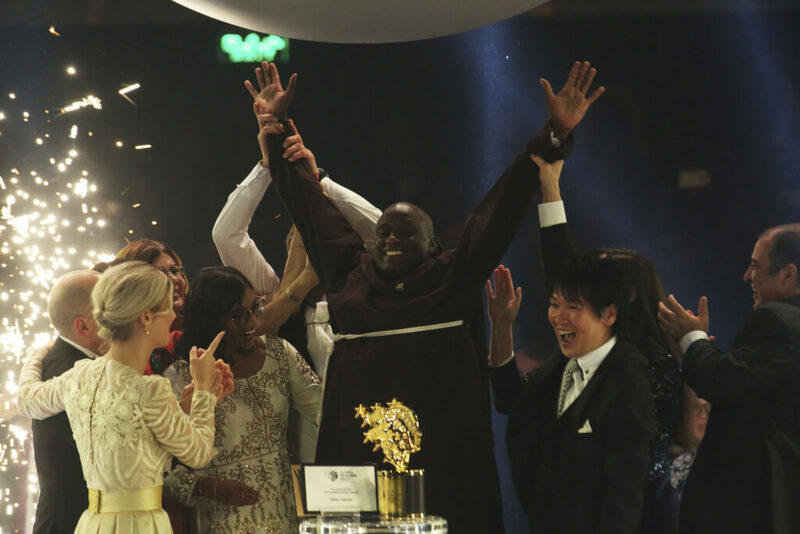 The annual Global Teacher Prize is awarded to Peter Tabichi in Dubai. DUBAI, United Arab Emirates — A Kenyan teacher from a remote village who gave away most of his earnings to the poor won a $1 million prize Sunday for his work teaching in a government-run school that has just one computer and shoddy Internet access. Tabichi teaches science to high schoolers in the semi-arid village of Pwani, where almost a third of the children are orphans or have only one parent. Drought and famine are common. “At times, whenever I reflect on the challenges they face, I shed tears,” he said, adding that his win will help give them confidence. Kenyan President Uhuru Kenyatta said that Tabichi’s story “is the story of Africa” and of hope for future generations.